Pharmaceutical or drug companies and medical device manufacturers must properly research the safety and effectiveness of their drugs and devices and fully report the results of their testing to the F.D.A. before they get permission to market their drugs or devices to the public. In addition, they have two other important responsibilities. They must keep track of any reported adverse reactions learned by them after the product is used by the public and promptly report to the F.D.A. any trends affecting safety in the use of their drug or device. Second, the drug companies cannot promote the use of their drug for a purpose other than what was authorized by the F.D.A. When a drug or device company fails to accurately report its test results, fails to inform the F.D.A. of notifications it has received from doctors and hospitals about problems that have been noted when the product is used, or drug company sales people suggest using the drug for unauthorized purposes, the drug and device companies can be held liable for the adverse consequences of their conduct. Sometimes the injury will happen to only one person, but more often a drug or device will cause harm to hundreds or thousands of individuals. In this situation, a class action should be brought to hold the company accountable for all the injuries that have been caused by their negligent conduct. 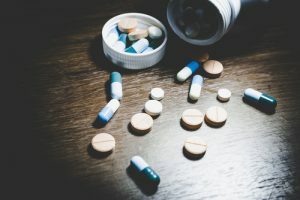 Knowing whether you have a claim that can be brought against a drug or device manufacturer is a question that only and experienced drug company negligence attorney in Gwinnett County Georgia can determine. At A. Russell Blank LLC, we specialize in drug and device company negligence claims. If you have a question as to whether you have a valid claim, please contact us.